Sourcing products is a challenge on its own, but strategically pricing them in the competitive world of ecommerce is often even harder. How quickly do you want to turnover your inventory? What profit margin is acceptable to you? What type of competition exists for the product? If you want to succeed, you have to develop strategies for your business that will help you identify these opportunities and price your products to sell in any environment. One of the easiest ways to strategically price your products is to spend a lot of time doing proper market research during your product sourcing. Whether you use dedicated software like Algopix, or rely on free tools like Google Trends and Keyword Planner, there are many options available and the insights they provide are invaluable. For example, Google Keyword Planner is great for estimating the monthly search volume for this brand and the average CPC (Cost Per Click) for each keyword. Now you can understand that there is a reasonable number of people searching for this brand on a monthly basis and the suggested Cost Per Click for advertising in the US is $1.83 (The same can be done for different countries in order to evaluate demand fluctuations). You need to understand how market prices work and how to effectively predict changes in price. For example, if your item is selling for $100 through the buy box on Amazon, but the next closest price is $150, it is reasonable to assume that the price will change once the lowest price seller runs out of stock. The fastest way to check a merchant’s stock is to add a large number of the item, say 30 of it, to your cart. The system will show you how much of that item the seller has in stock. This is a great way to get a feel for how long a lower buy box price will stand, and how soon you can expect the price to increase after their stock is purchased. No matter how much market research you do, sometimes the market goes against you. You have a few options available if market prices drop after you order a product and send it to an Amazon fulfillment center. If you are low on capital, you may have to accept the loss and reduce your price in order to get as much of your capital back as possible. While this isn’t favorable, that’s the cost of doing business, especially on items with thin margins. If you are in no rush, you can sit on the product and wait until your competition sells through their stock, allowing you to sell for a higher profit. 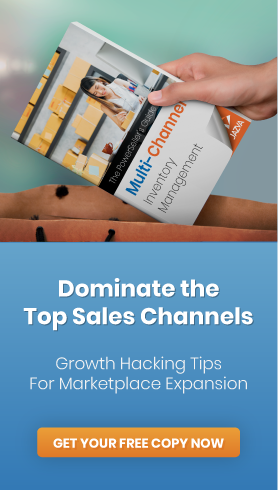 Rather than limiting yourself to a single marketplace, take advantage of all of the channels available. This means selling on Amazon, eBay, Walmart, and using Google AdWords or paid social ads to promote your own website. Listing on other niche sites where your product is relevant could also bring in unexpected sales. Try everything once. And this doesn’t mean sticking to Amazon US and eBay US - you also better leverage international marketplaces. Just because your product is saturated in the United States doesn’t mean that it is in Europe or other countries. Take advantage of that. If you run your own brand, your marketing costs will be higher. There is nothing you can do about that. When it comes to pricing your products, you have to look at the way your competition is pricing similar products and try and put yourself in the customer’s shoes. How customers interact with your products? What value do your customers derive from them? How does the buyer’s experience work for your products? One of the last things to think about is profit margins. Many sellers fixate on profit margin per unit, but sometimes selling more units at a lower profit margin is the right move. Sometimes selling more items for a lower profit margin will make you more money than selling fewer items at a higher price. The best way to get a feel for this is to know how popular your products are, what kind of competition you are facing, and what their demand level is like. There are no hard and fast rules that apply to every product. Instead, these guidelines will help you get a feel for what works. The world of ecommerce is fiercely competitive, but with these tips in mind, you should be able to properly price your products and sell them in any environment.